"In 2002, we were the first major diaper manufacturer to create a diaper for premature babies. Since then, we have developed numerous innovations, including diapers ranging from size P1 to P3 for micro-preemies, to care for all babies, even the littlest fighters." 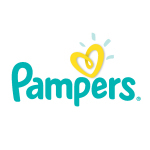 CINCINNATI--(BUSINESS WIRE)--Pampers, the brand trusted to be the #1 choice of U.S. hospitals* for more than 40 years, has created a first-of-its-kind flat diaper to protect the needs of preemies whose skin is too delicate to wear a traditional diaper or require an alternative diapering solution while in the NICU. Pampers has partnered with the March of Dimes this Prematurity Awareness Month and will donate a box of the new Pampers NICU Flat Diapers to every NICU in the country to support every baby’s happy and healthy development– including the littlest fighters. Visit [https://youtu.be/Y79pbg5dNy0] to view the Pampers’ “Littlest Fighters” video that champions the fighting spirit of all preemies. Preterm birth is a national health crisis that accounts for 1 in 10 or around 380,000 babies being born prematurely every year in the United Sates. The preterm birth rate has increased for the second year in a row, rising to 9.8 percent — equating to approximately 8,000 additional babies being born prematurely. Thankfully, advances in medical science have allowed many of these babies to thrive in the NICU, but their unique needs go beyond the traditional diaper. The Flat Diaper addresses the unique needs of babies with extremely low birth weight, severe skin issues, jaundice, gastrointestinal complications and other related conditions. All-Around Absorbency to provide equal protection in the front and back, to help allow diapering in any position. Our Absorb Away Liner that pulls wetness and mess away from baby’s skin to help baby stay dry and comfortable. A Wetness Shield that helps prevent run-off from the flat diaper. Premium Skin Protection by using the same breathable materials found in Pampers Swaddlers diapers. No Tape, No Elastic, No Fragrance – just softness and protection to provide outstanding care for the littlest fighter. The materials in all Pampers products are safe and gentle, and are the same materials used safely in Pampers hospital and retail diapers, by more than 25 million babies worldwide, every day. Pampers partners with leading pediatricians, pediatric dermatologists and safety experts to confirm the materials we use are safe for babies, especially the most delicate. “With the rising preterm birth rate, the March of Dimes’ fight for the health of all moms and babies has never been more important,” said Stacey D. Stewart, President of the March of Dimes. “We are proud to partner with Pampers, who shares our commitment to innovation, research, protection, care and support, ensuring that future generations of babies have a fighting chance. Submit your story on TODAY.com and we’ll donate $5 to March of Dimes, up to $50,000. Now through November 19 at 11:59 EST. Submissions may be used within TODAY broadcast, TODAY.com and/or on TODAY social handles. The March of Dimes and Pampers are also teaming up to present “Imagine a World,” an interactive experience that celebrates strong moms and babies at LA Live from November 9 to 11. The event features a photo gallery by world-renowned photographer and March of Dimes Ambassador, Anne Geddes, along with interactive technology stations featuring games and puzzles, selfie stations, DIY flower crown-making and craft stations, and garden party photo booths. 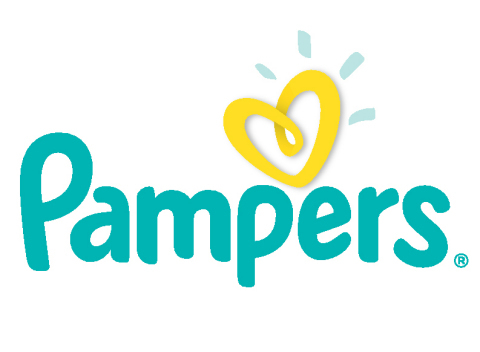 Pampers will feature their complete line of Pampers diapers – from the tiniest to the biggest – as well as provide a family-friendly changing station, stroller park and nursing stations at the event.